hd00:26Young woman drinking coffee and talking on the mobile phone. 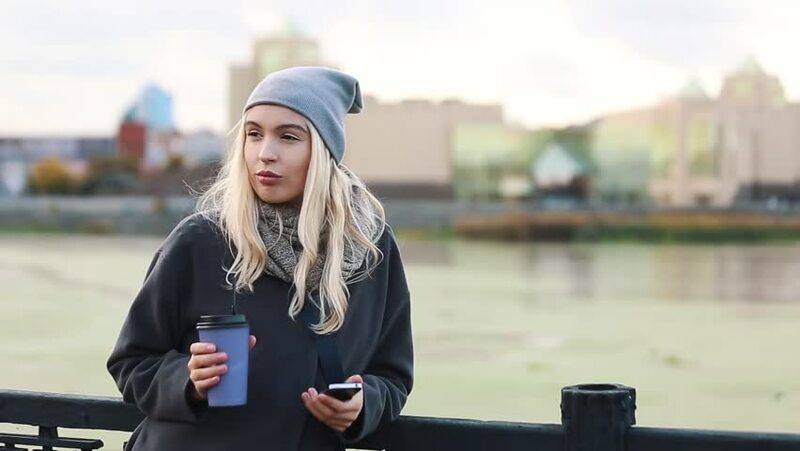 Woman talking via mobile phone and holding a coffee paper cup on the urban street background. 4k00:09Portrait of young African American woman using phone, outdoors.